A casual accessory for everyday wear for the smart man. Adjustable for comfort, this polyester bracelet boasts hematite beads, black lavastones, and a stainless steel sliding closure. 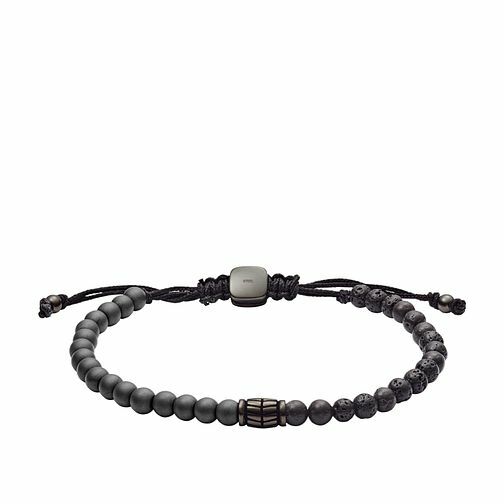 Fossil Men's Hematite and Black Lava Stone Bracelet is rated 5.0 out of 5 by 1. Rated 5 out of 5 by Anonymous from The bracel looks nice The bracel looks very nice. My boyfriend very happy. It's him favorite bracel. I am very recommending.